Somewhere along the line, the industry has turned many of us into robots. Yes – those automatic, machinelike ‘things’ concerned only about ticking boxes and chasing growing numbers. Luckily though, not all of us have been affected. This robotic thinking however, has blurred the line significantly between positive and negative SEO approaches. 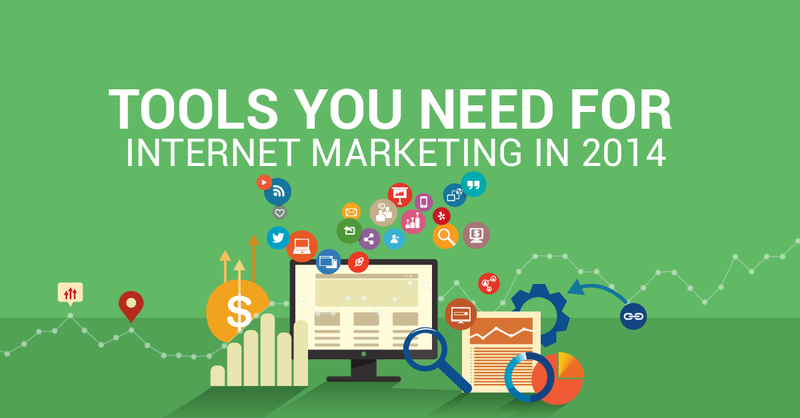 In web marketing, you have two audiences – human visitors, which consist of existing and prospect customers; and search engine robots like Google and Yahoo. You’re writing for (and fighting for) both armies. Every single piece of content you create and upload is a chance to connect with your readers and rank naturally in search engine results. Without a composed mix of the two, your SEO strategy, online marketing strategy and your credibility can fall apart. Understanding the essential ingredients to target these two audiences – humans and the search engine robots is important for success and noticeability. Content and writing strategies needs to be balanced for each of the attributes. If they aren’t, you run the risk of either being penalised by major search engines like Google, or losing your credibility with readers and customers. Effective natural traffic can only be driven through search, social, email and by crafting each aspect of your content separately and deliberately. As we watch recent disturbances with Google’s method for delivering search results it has become clear that robots (Google’s algorithms) are getting smarter at figuring out the intent and context of our queries, what we are writing and marketing. But, these robots are coming together with us humans on a undying truth – if you make your content interesting, compelling, authentic and worthy of attention – you will be rewarded. We look into the best ways to ensure your writing attracts positive attention from both audiences. Human optimisation consists of providing website visitors with the information they need – as quickly and as intuitively as possible. When you optimise web content for humans, it ensures value is added to the overall browsing capability and creates a great user experience, one where they will want to come for more. Humans can be a demanding bunch, so if you don’t give them what they way when they want it, they will leave. Once you’re website has been found by us humans, it’s going to be compared to every other company’s websites. And I don’t just mean by the prices or service. Not only are humans demanding, but they are picky! We want something professional, easy-to-use and accessible on the go. 1. Humans like other humans:Give your site a human face through Google Authorship, this helps build credibility and trust. Create an ‘about us’ page on your website and take the time to include pictures of real people. A small introduction about who you are with a ‘face’ goes a long way. 2. Humans like clean user interfaces: A successfulwebsite should be easy to understand and not bombarded with mixed messages or hard to read text and colours. If a human can’t be captured or find their way around in the first 5-10 seconds, they will move on and most probably never look back. 3. Humans like connecting and engaging: No one likes a boring website filled with content that doesn’t connect or engage with the reader, so it’s vital you make sure it’s enticing for people to want to come back. Once you have uploaded content, always check back to see if there have been any comments and engage with your audience through this too. 4. Humans like information on the go: These days, humans need to be able to access information from the desktop, smart phone and tablets so responsive websites are a must. Human optimisation is essential for engaging effectively with your customers once they’re on the site, but what about getting them in the first place? A user-friendly, professional and interactive website is useless if no one can find it, therefore SEO is essential. Understanding your competitors, target market and search terms for your product or service is crucial for effective SEO practices. Your web page needs to be easy for both users (humans) and search engine robots to understand. Whilst engaging content and user-friendliness helps humans, SEO helps search engines figure out what each page is about and how it may be useful for humans. 5. Robots like keywords: Keyword research is one of the most important, valuable and high return activities in the search marketing field so it’s crucial your website ranks for the “right” and relevant keywords. SEO is not always about getting the visitors to your site, but about getting the right kind of visitors. 6. Robots like easy to use and understand websites: Usability, user experience and content doesn’t just affect humans, but the search engine robots too. If a website is hard to understand or navigate around, it’s going to be hard for them to crawl. To help robots understand your website, the correct use of title and Meta description tags are essential – whilst it won’t directly affect your rankings, it will definitely appear good in structure for Google. 7. Robots like trustworthy links: It’s what helps engines discover how pages are related to and in what way. Through these links, engines can analyse the popularity of a website and metrics like spam, trust and authority. To search engine robots high-authority links make the page more interesting, thus they are crucial. 8. Robots like relevance: Crawlers are super clever so there’s no point trying to trick them with keywords. If the page content has nothing to do with the search term, they won’t just ignore the information but potentially blacklist your site too. Above anything, get the message across first. Write simply and powerfully for humans without the shackles of keywords. When your focus is purely on the content, the overall message will be much more compelling. It’s easy enough to insert the right keywords and links afterwards. The audience should always be pampered first – by solving their problems, answering their questions and fulfilling their needs. High-quality in-depth content that pleases readers and goes viral will be beneficial for both humans and search engine robots. Fantastic post and best blog! I happen to be a daily visitor to your blog. Just wanted to say I appreciate your blogs and am looking forward for more to come! It is very important to understand that google wants to minimize data duplication and gives better search results.Hence we have to mind both searchers and robots for our websites.Thanks for sharing article! Great write up on how a robot handles SEO as compared to how humans see SEO. There is so much science that goes into great SEO. 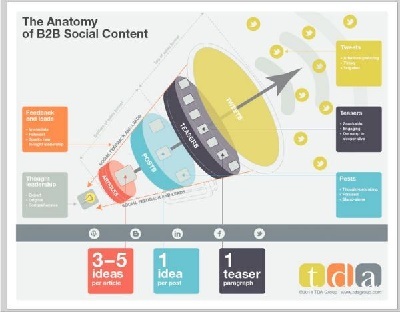 I was able to notice the human approach mentioned about SEO and the difference in image regarding Mashable. 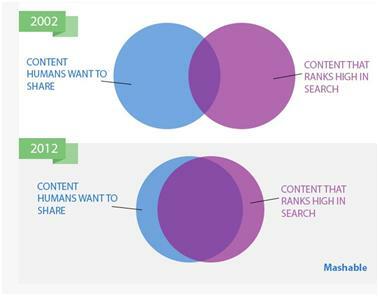 It shows that the content now Mashable has the content which humans want to share and so ranks high. One of the more interesting aspects of providing SEO services for small businesses and corporate clients is providing the balance between writing content for humans, as Google is trying to steer us to, and writing content for the robots, which is the way Google tries to prove we are writing for human. This is a challenge I face every day. The above article does a great job of showing how both an be done. I thank the writer for the insights. I will be sharing this information with my network and my clients.